Somatics Catalog - Product Report: "#ABM"
Join the many expectant, new and experienced parents around the world to discover the benefits of this innovative approach for a body-confident, expressive, motivated baby. Discover more about your baby's expressive body language and boost your baby's cognitive abilities by encouraging self-motivated play. Find new ways to observe and move with your baby. Each month there are Parent-Baby interactions for you to join in and improvise in play. otion. Easy-to-follow slow motion episodes guide you through longer movement sequences. Not just for parents; this is foundational knowledge for all somatics practitioners. 238 pages. Participate in the natural progression of movement development during your baby's first year. 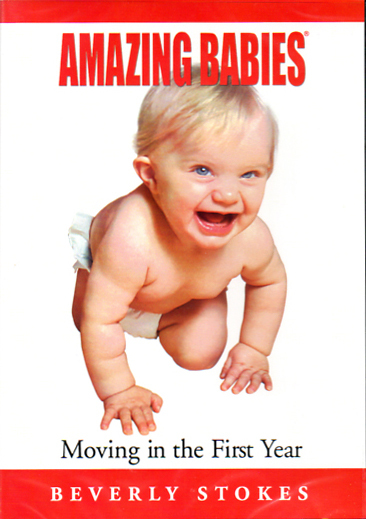 The DVD is presented chronologically and grouped into pre-locomotion and locomotion sections; it contains many of the baby movement sequences seen in the book so that you can enjoy watching these episodes unfold in full motion. Easy-to-follow slow motion episodes guide you through longer movement sequences. otion. Easy-to-follow slow motion episodes guide you through longer movement sequences. Not just for parents; this is foundational knowledge for all somatics practitioners. 47 minutes, color.